Greg Garland told investors and securities analysts at the 2012 Barclays CEO Energy-Power Conference in New York on September 5, 2012 that CPChem's success is partly based upon their proprietary technology. "We think this ensures low cost. It ensures competitive position via the other peers out there." Rod Walton reported in the Tulsa World on October 27, 2012 that with Phillips decision not to build a long-planned major research and training center in Colorado, Bartlesville employees are breathing a sigh of relief because many feared that their piece of the company might be headed to the Rocky Mountains. "Any time a major employer in the community makes a sizable investment in another location, it generates concerns," said David Wood, president of Bartlesville Development Corp. "The formal announcement that Phillips 66 will be selling the Louisville property puts this issue to rest." The Bartlesville research center has a long history. Phillips Petroleum Co. had its headquarters in the city from the early 20th century until the merger with Conoco Inc. in 2002. Now it looks like the research center is safe and sound for some years to come. 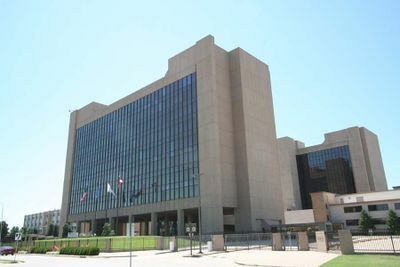 "Without being complacent, indications are that the research center will continue to be a large, high-wage employer in Bartlesville for the foreseeable future," Wood said. "We couldn't be more pleased with that outcome." Timescall reported on October 17, 2012 that Phillips has decided not to build a a global training center and research and development campus, a facility heralded for its potential to bring thousands of jobs and an economic boom, in Louisville, Colorado and plans to sell the 432-acre property off U.S. 36. "The uses that ConocoPhillips originally envisioned for this site don't really fit into Phillips 66's long-term plans at this time," said Louisville Mayor Bob Muckle. After the split from ConocoPhillips, Phillips 66 acquired the research facility in Bartlesville, Okla., and moved forward on plans to establish an international training center at its new corporate headquarters in Houston. "After careful consideration of the needs of the new company and its employees, Phillips 66 has decided to sell its 432-acre property in Louisville, Colo.," said Phillips 66 officials in the statement. 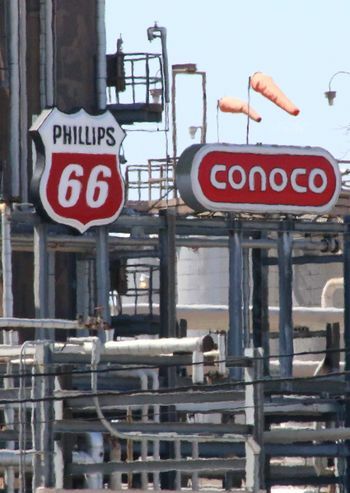 "Phillips 66's predecessor company, ConocoPhillips, purchased the Louisville property in 2008. As a result of the repositioning of ConocoPhillips into two independent energy companies, the Louisville site became an asset of Phillips 66." The campus was to be constructed in three phases: the opening of 1.6 million square feet of office, research, training and hotel space by 2013, another 150,000 square feet by 2018 and the final 750,000 square feet by 2032. 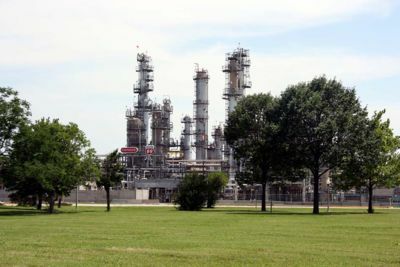 NewsOK reported on July 28, 2016 that Chevron Phillips Chemical, a 50-50 joint venture between Chevron and Phillips 66 officially dedicated a new Marlex polyethylene pilot plant at Bartlesville’s research and technology facility beginning of the next phase for the company’s catalyst and polymer development operations. President/CEO Peter Cella said the pilot plant will allow for the research, testing and development of polyethylene processes, prior to implementation in full-scale operations. The new Bartlesville facility replaces a decades-old pilot plant that has been on the forefront of polyethylene research and development. Chevron Phillips Chemical employs just over 200 people at the facility in west Bartlesville. Two Phillips 66 chemists, J. Paul Hogan and Robert L. Banks, discovered polypropylene in 1951 and their discovery led the way for commercially-viable plastic products such as milk jugs, containers and pipeline. 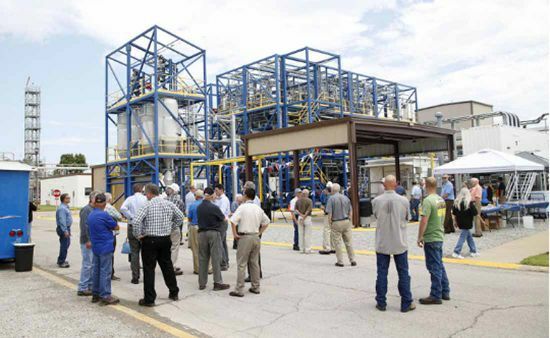 “How perfect it is that our new pilot plant is right here in Bartlesville, Okla.,” Cella said. “This is the site were modern plastics got its start; this is the birthplace of modern plastics.” Skye Richey says the new plant is designed to be smarter, more user-friendly, environmentally responsible and safer for for the workers who will run it. Chevron Phillips Chemical officials did not release the cost to build the new pilot plant in Bartlesville, only to say the investment was significant. The new pilot plant took a little more than a year to build and is composed of 20 different modules that cover approximately 11,700 square feet. Cella said that the company is not releasing the new pilot plant’s price tag but described the investment as “significant.” Cella said that some jobs were created to construct the new plant but no additional hires were made at the research and technology facility. Cella said that the investment in the new pilot plant preserves those jobs. 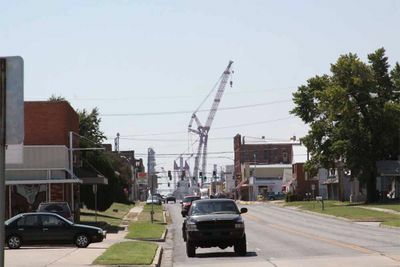 The new construction in Bartlesville replaces the decades-old pilot plant that had been the focal point of polyethylene research for decades. The old plant, located across the street from the new one, is now closed. Research projects are expected to start in the new plant by the end of the year. Machinery Lubrication reported on June 9, 2015 that Phillips 66 Lubricants recently introduced a new high-performance, semi-synthetic gear lubricant to meet the demands of heavily loaded, slow-moving gears and bearings. Featuring extreme-pressure protection and resistance to water washout, Triton OG SS offers adhesion to metal surfaces, has a high film strength and reduces the tendency for lubricant "squeeze-out." "We developed Triton OG SS as a cost-effective crusher lubricant recommended for use in open and semi-enclosed gear drives in rotary kilns and mills found in the cement, limestone and gypsum operations," said Eric Lancaster, director of industrial products at Phillips 66 Lubricants. UPI reported on December 11, 2013 that Phillips is teaming with green crude oil producer Sapphire Energy expand Sapphire's test program in New Mexico to show algae can be converted to crude oil using traditional refining methods. "We believe this joint development project with Sapphire Energy could produce a refinery-ready, sustainable product for Phillips 66, creating yet another exciting opportunity in this rapidly changing energy landscape," Merl Lindstrom, a vice president in charge of technological develops for Phillips. Sapphire said it expects to have a commercial demonstration project up and running by 2015 and be able to produce as much as 23 million barrels of green crude oil per year by 2025. Marketwatch reported on August 21, 2012 that Phillips 66, the South China University of Technology (SCUT), and Solarmer Energy, Inc. successfully set a new world record in power conversion efficiency for polymer-based organic photovoltaic (OPV) cells with a 9.31 percent efficiency certified by the Newport Technology & Application Center's Photovoltaic Lab in Long Beach, CA. "The breakthrough in efficiency offers a good opportunity for the commercialization of the organic photovoltaic technology," said Dr. Byron Johnson, manager of Sustainability Technologies at Phillips 66. "This marks an important milestone for the industry and has the potential to deliver truly low cost energy for the world." OPV is lightweight, has a better performance in low light and is easier to manufacture -- making it a potentially cost-effective renewable energy technology on par with current conventional energy technologies. Hydrocarbon Processing reported on March 21, 2013 that Phillips has entered into an agreement with CB&I to provide Phillips E-Gas solids gasification technology, a process that converts coal or petcoke into syngas, which can be used for power generation or further converted to substitute natural gas, hydrogen and downstream methanol-related chemicals production. Financial details were not disclosed. “We look forward to adding the E-Gas Technology to our portfolio, which will mark our entry into the syngas value chain," said Daniel McCarthy, group president of CB&I’s technology operating group. "It also will bring added synergy to our delayed coking technology offering for integrated power generation, and other options to the refining and power industries." ↑ Tulsa World. 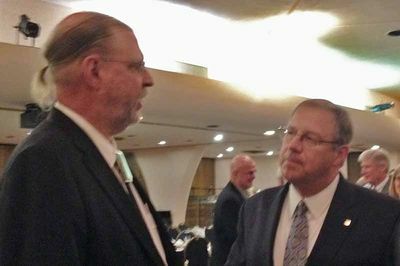 "Phillips 66 cancels Colorado research center, putting to rest any worry for Bartlesville" by Rod Walton. October 27, 2012. ↑ TimesCall. "Phillips 66 to sell 432-acre campus in Louisville" by Alice Wallace. October 17, 2012. ↑ NewsOK. "Polyethylene pilot plant dedicated" July 28, 2016. ↑ Tulsa World. "Chevron Phillips Chemical celebrates completion of new polyethylene pilot plant" by Casey Smith. July 28, 2016. ↑ Machine Lubrication. "Phillips 66 Unveils New Gear Lubricant" June 9, 2015. ↑ UPI. "Phillips 66, Sapphire Energy to develop green crude oil" December 11, 2013. ↑ Marketwatch. "Team Sets New world Record in Power Conversion Efficiency for Polymer-based Organic Photovoltaic (OPV) Cells" August 21, 2012. ↑ Hydrocarbon Processing. "CB&I to acquire Phillips 66 syngas technology" March 21, 2013. ↑ Businesswire. "Phillips 66's E-Gas(TM) Technology Selected for Reliance Industries' Gasification Project" May 21, 2012. This page was last modified on 28 July 2016, at 20:45.